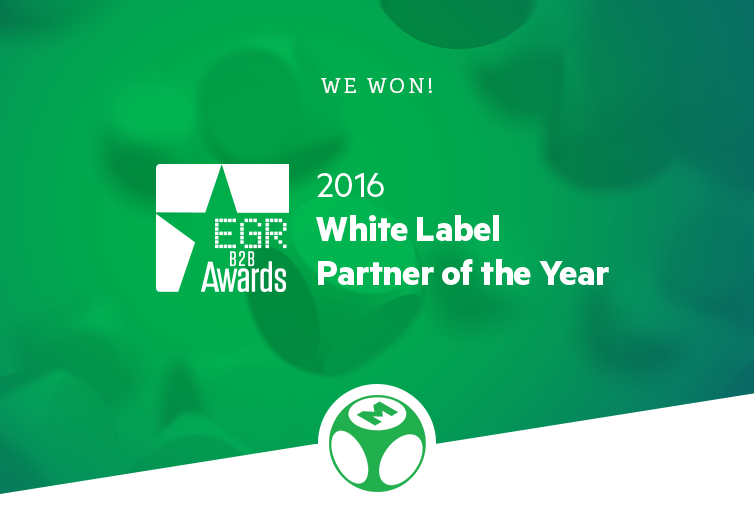 We are happy to announce that we won the White Label Partner of the Year Award at the EGR B2B Awards. As our company received the White Label Partner of the Year Award for the 3rd time – and for the 2nd time consecutively – we can only be delighted to share this information with our clients, partners and friends in the industry. “This major award comes as a recognition of our company’s efforts to create better solutions for the iGaming industry and our constant work to support our clients with high-quality products necessary for building successful gaming websites.” commented Ebbe Groes, CEO of EveryMatrix. EveryMatrix has developed greatly over the last years with a number of significant partnerships emerging and new successful clients being launched throughout the regulated markets of the industry. Furthermore, we have obtained a number of gaming licences that allowed us to assist our clients with fast access to important markets, such as the United Kingdom and Denmark, and we continued to spread our global presence with 10 offices throughout the world. EveryMatrix is able to deliver custom-built solutions throughout the world including the award-winning sports betting solution, OddsMatrix, which is equipped with more than 23,000 live events monthly and CasinoEngine, the largest casino content aggregator currently on the market with 3,000+ games across 30+ vendors.